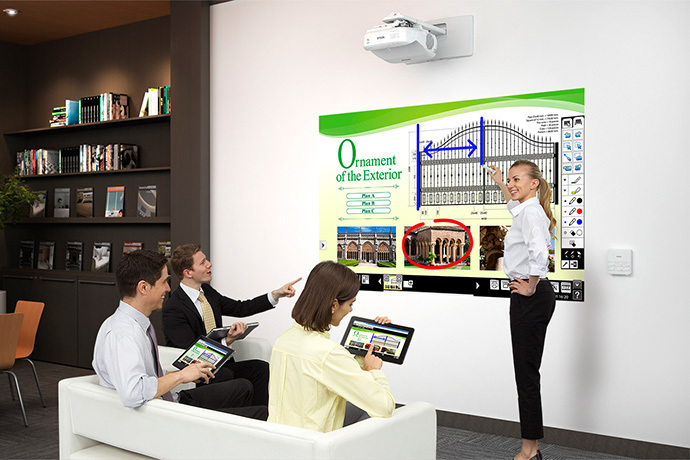 The world’s first interactive LASER Display(Projector) for modern meeting spaces. Powered by breakthrough laser technology, the BrightLink Pro 1470Ui transforms yesterday’s conference room into tomorrow’s collaborative meeting space. Unite people, ideas and technology in a seamless digital experience. The BrightLink Pro 1470Ui facilitates better communication by turning nearly any flat surface interactive, displaying larger-than-life, Full HD WUXGA images up to 100" diagonal. Plus, it provides up to 20,000 hours of virtually maintenance-free operation. 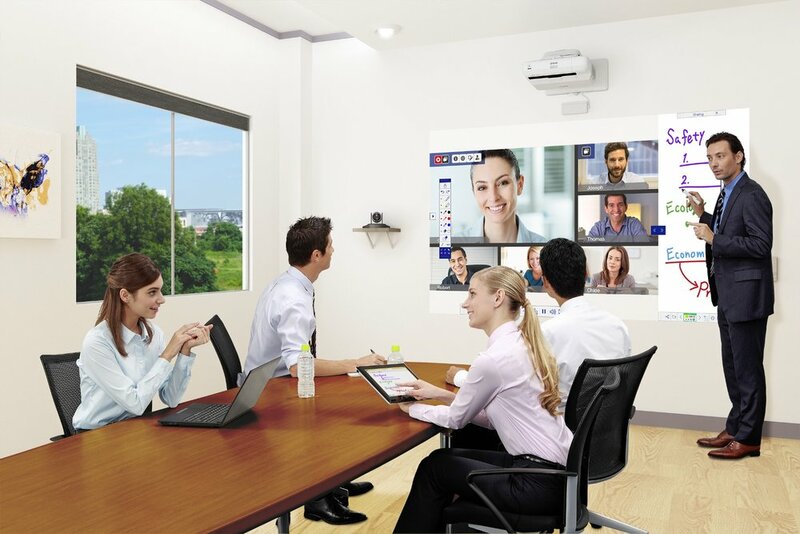 Additional features include 4,000 lumens of color/white brightness, enterprise-level wireless security and whiteboard sharing for local and remote collaboration. 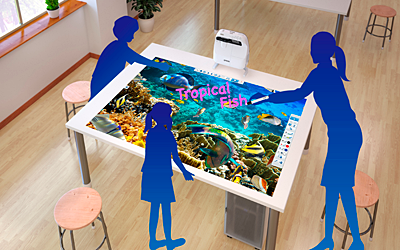 The world’s first 3LCD ultra-short throw interactive LASER Display(Projector). 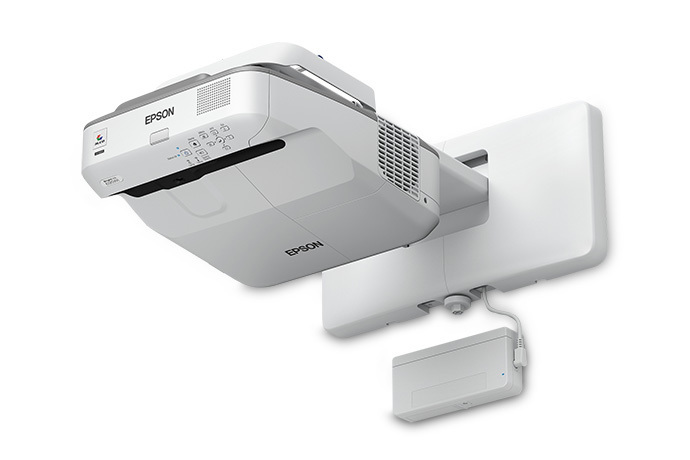 Experience the future of classroom display technology with the BrightLink 710Ui ultra short-throw interactive laser projector display. Unite teachers, students and technology in a seamless, digital, collaborative learning experience. The BrightLink 710Ui features 4,000 lumens of color/white brightness and Full HD WUXGA resolution for vivid, larger-than-life images up to 100" diagonal. Powered by breakthrough laser technology, the BrightLink 710Ui provides up to 20,000 hours of virtually maintenance-free operation. And, it offers higher a contrast ratio for stunning images with deep blacks, plus Instant ON/OFF to achieve maximum brightness within seconds.